For years, I've said it's a shame that any of us here in Driggs have to work at all in July. It is simply perfect. Warm days, cool nights, deep blue skies, smiles everywhere, beautiful scenery every direction, and recreation screaming to be had while it lasts. 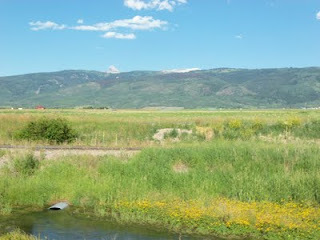 Rivers are finally calming and clearing now too, so fishing will kick in these next couple of weeks. 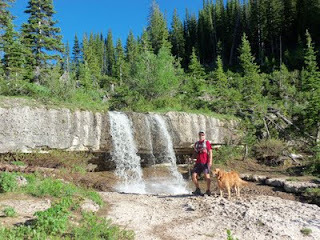 Add that to everything else going on - golfing, hiking, biking, horseback riding, bbq's - and folks around here are busy. 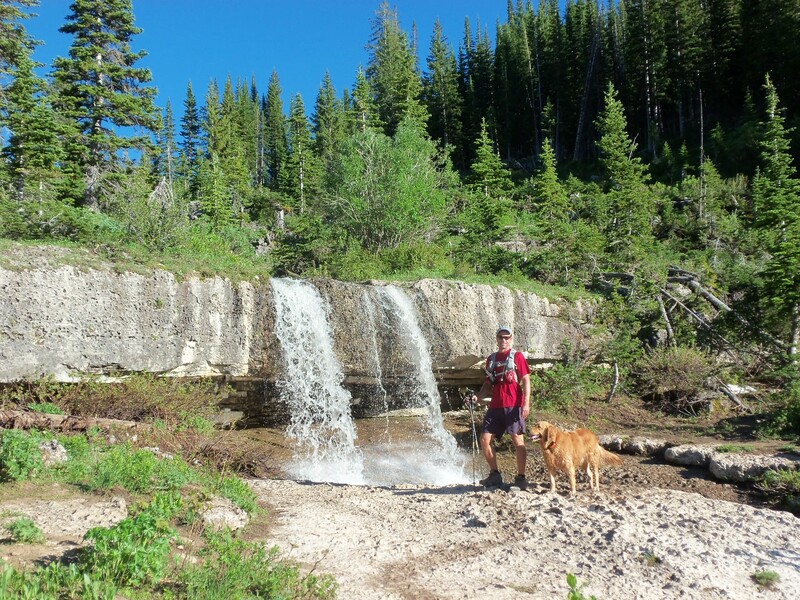 The high country is springing to life, with waterfalls like I haven't seen in years. 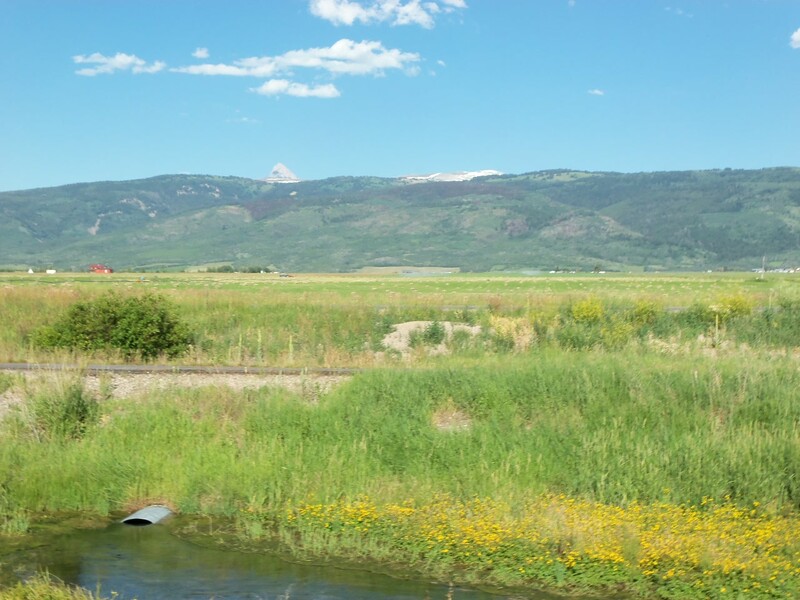 Trails are finally melting off up near the 10,000 foot level, so big Teton hiking loops are now possible. Get up there and explore while you can. The Teton Valley Mountain Bike Festival was a resounding success last weekend, and it was fun to be part of it. Festivities, group rides, new bikes to test, and mingling with great people under perfect weather conditions. 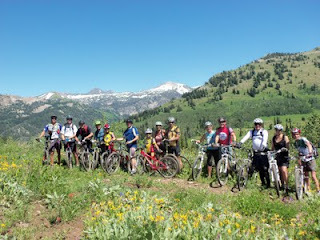 This photo is from a group ride I helped lead around Rick's Basin, up at Grand Targhee. It feels like you're in the Alps up there. 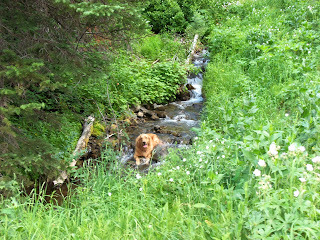 Have I mentioned that it's dog heaven around here, pretty much year-round? 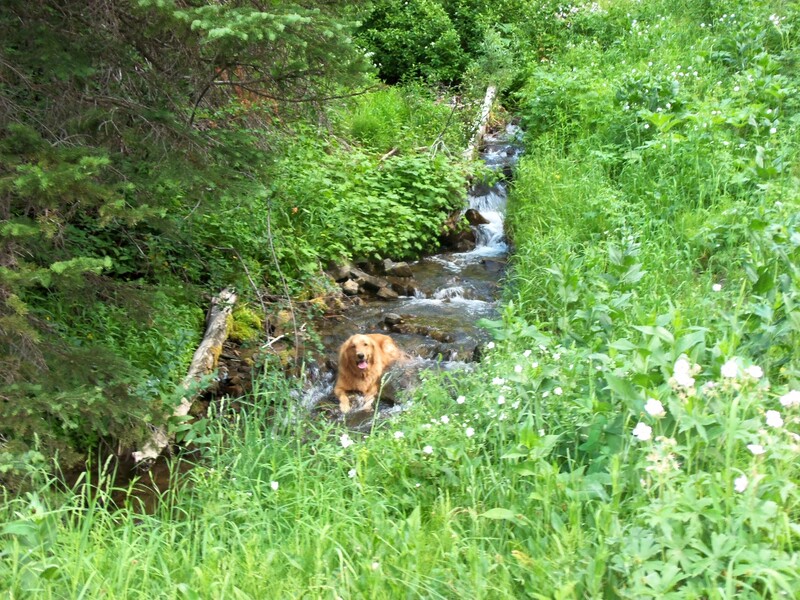 Bridger enjoys July almost as much as we do, with plenty of creeks to cool of in during backcountry adventures. Be adventurous and cool out there, yourselves. And enjoy July!